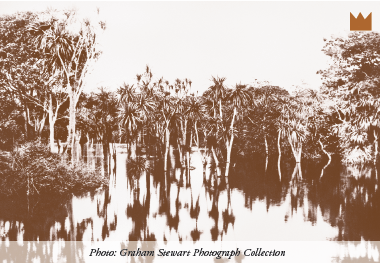 Previously known as Cabbage Tree Swamp Road, Sandringham Road extended up past Eden Park to become Kingsland Road, which connected with the village. Drainage of the low lying wetlands to create Eden park started around 1900. Kingsland Road was later renamed Edendale Road when the railway crossing was closed off and the public amenities built in 1928.